When it comes to my makeup routine, there's a few items that I just can't go without. Brows are a must have, as is mascara. My face doesn't feel complete without them. However, one item I rarely leave the house without, which may come as a bit of a surprise, is an under eye brightener. When I say under eye brightener, I basically mean a brightening concealer / highlighter to help give me a more wide awake look. Seriously, a bit of brightness under my eyes and I'm ready to face the world. I'd actually rather go with no foundation than nothing under my eyes - is that strange? Anyway, there's a few under eye brighteners that are regulars in my makeup bag and ones I would or already have repurchased so I thought I'd share them with you guys. Keep reading to find out a little bit more about them! MAC Prep & Prime Highlighter; This was one of the first under-eye brightening products I ever tried and I haven't looked back since. I remember buying this after reading so many rave reviews on blogs/youtube and I'm so glad I did as it really is an amazing product. As you can see, this is a pen style highlighter and the packaging is really convenient as you simply twist the bottom of the pen and the product is dispensed onto the brush so you can apply it directly on to the area you want it. The shade I have is 'Light Boost' which is the most yellow toned of the four shades available. I personally find Yellow tones work best with my skin tone as they really help to achieve that bright look. I usually apply this in a V shape under my eyes, down the centre of my nose and a little bit on the centre of my forehead and chin to brighten the whole area. This probably has the thickest consistency of all of these products but it's by no means cakey and it doesn't feel heavy on the skin. 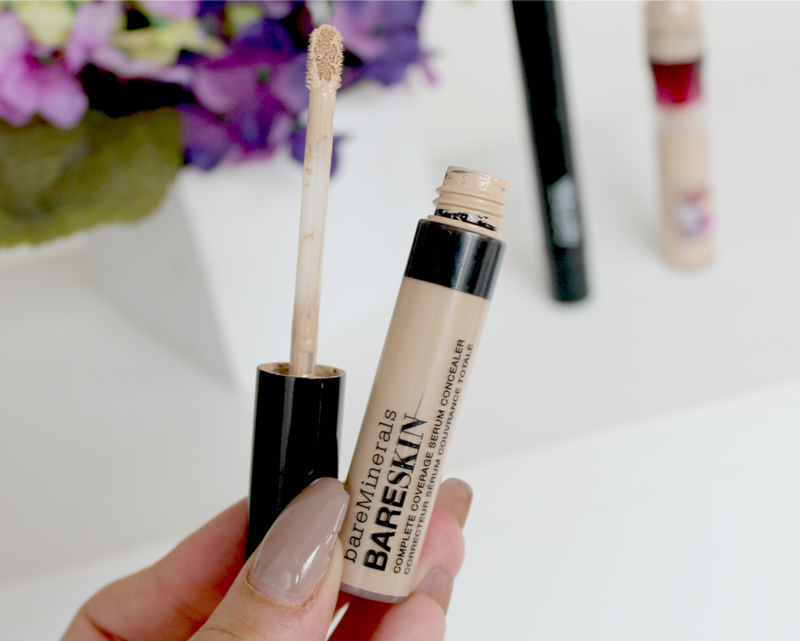 bareMinerals bareSkin Complete Coverage Serum Concealer; This is a fairly new release from bareMinerals and I was kindly sent it a couple of months ago to try out. Since then I've used the whole thing and am definitely going to repurchase it. As the name of the product states, this is a serum concealer so it has the most beautiful consistency that feels so lightweight on the skin whilst still providing amazing coverage. I use the shade Light in this one and I find this shade really helps to cover dark circles as well as brighten as it has a slightly more peachy undertone which helps to cancel out any discolouration. However, it still works amazing for brightening too so don't let that put you off. It's just not quite a Yellow as the MAC one, as you can see from my swatches below. bareMinerals also say that this features 'high-definition mineral optics to counteract shadows and give skin a brightened, lustrous finish'. I would definitely agree with that as it does give a completely flawless finish to the skin. I almost wish there was a foundation version with the same formula as I'd definitely put this all over my face if I could. 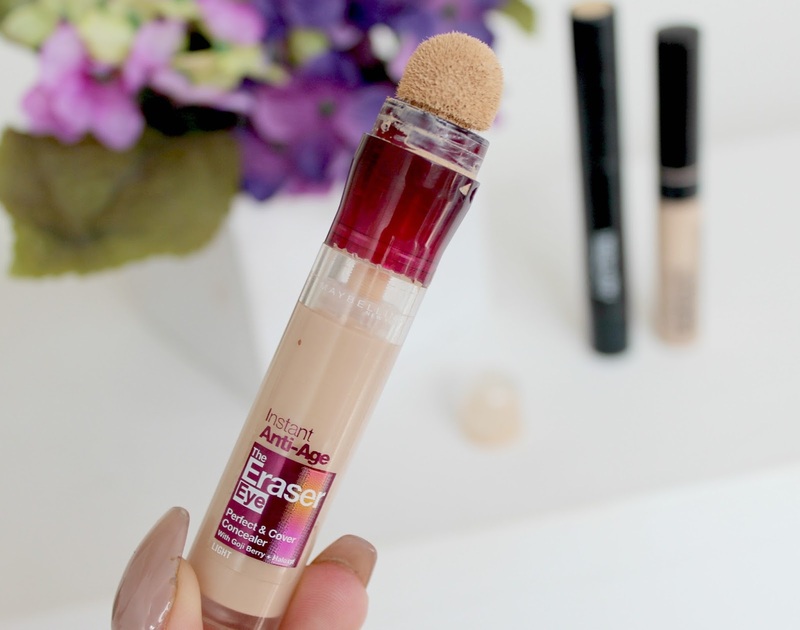 Maybelline Eraser Eye Concealer; This is the cheapest of my three favourites so perfect for those of you who are on a tighter budget but still want something really effective. Much like the MAC Prep & Prime, this is another product I purchased after hearing so many positive things about it. I did have my reservations at first as I've never really got on with drugstore concealers in the past but this one is absolutely amazing! The packaging is unlike anything I've ever seen before - to get the product out of the bottle, you twist the top and it comes out onto the attached sponge. Apparently this is called a micro-corrector applicator as it micro-fills and smoothes the skin, reducing the appearance of fine lines. I know a few people think this method of application is a bit unhygienic but I personally love it as I find the products applies nice and smooth and I've never had any issues with breakouts. 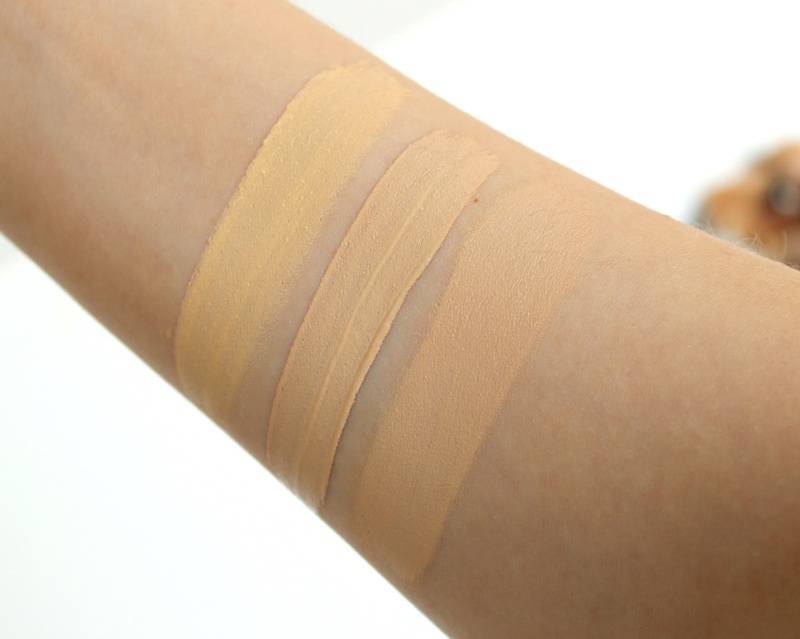 I have the shade Light which is very similar in colour to the bareMinerals concealer. 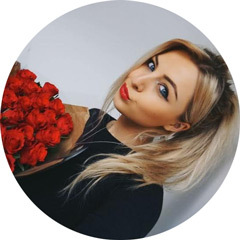 I do tend to go for the lightest shade available when it comes to these kind of products as I have quite naturally pale skin and find the lightest shades help to brighten rather than just blend in with the rest of my skin tone. As I mentioned earlier, I find this product really smooths my under eye area and the applicator is very gentle meaning there's no pulling or tugging on the skin. It also blends beautifully and leaves a seamless finish. It's definitely the best drugstore concealer I've used and one I'd 100% recommend. So there we have it, my top three products to brighten the under eye area. If you haven't tried any of them and are looking for something similar, I can't recommend them enough. They're all must-haves for me! Have you tried these products? What's your favourite product to brighten your under-eye area? I really need to get an under eye brightener, the mac one sounds really amazing and I always love treating myself to the odd mac purchase! 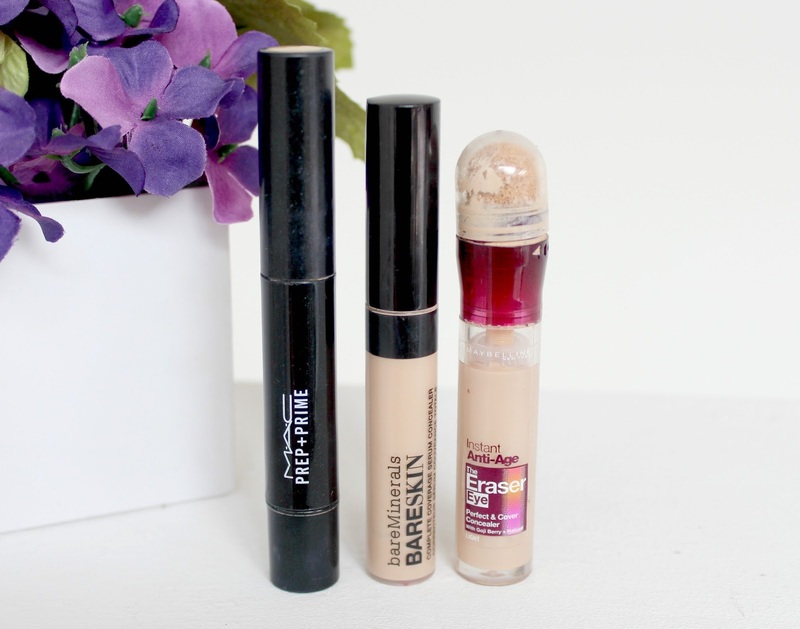 That Maybelline concealer and I go so far back! This was my first concealer I used when I was actually learning how to put it on! 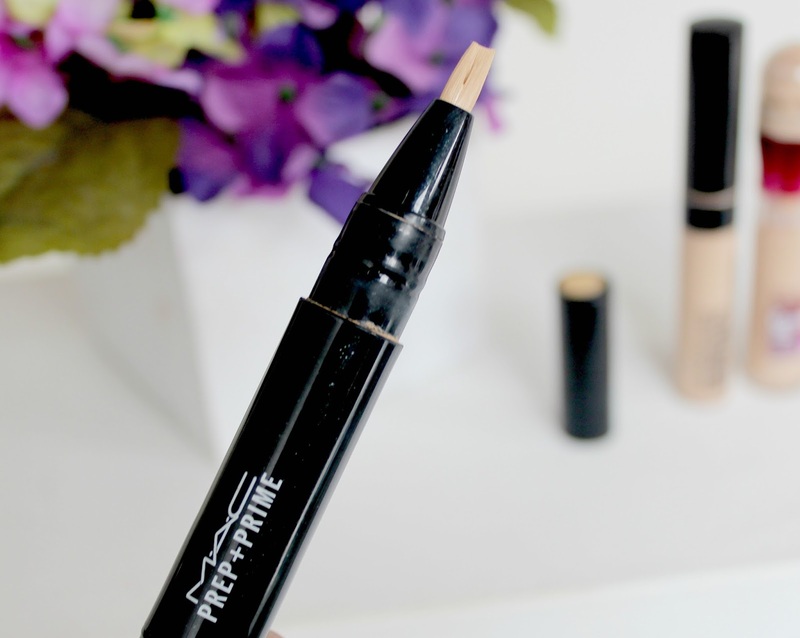 I love the MAC pro longwear concealer, so I'm open to trying their undereye brightener! Thanks for sharing! I always use the Collection concealer but I've heard lots of good things about the Maybelline one recently so i'll definitely be giving it a go! I really want to try the maybelline eye eraser! It looks like it would be perfect for undereye circles. Plus highstreet too! Always a plus! The Maybelline Eraser Eye is great!! Works like a charm. I heard so many great things about the Maybelline one, I need to go and pick one up ASAP. I adore the Maybelline dark circle eraser! I have been meaning to try the MAC prep and prime as well, it sounds beyond incredible.